It doesn't seem that long ago that my favorite kid was, well, a kid. 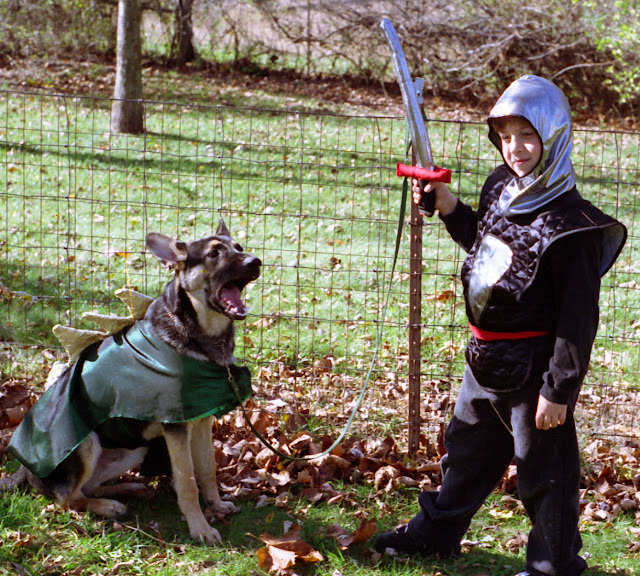 Here's a memory from a past Halloween all suited up as a brave knight as he psychs up to save a fair maiden from the fearsome Kaiser dragon. hey, awesome costumes guys! i think we would fit in with you since we dressed up as a knight and princess, come check us out! Terrific costumes, what a great memory!